“A gentleman repeats” − it’s a common saying in some Latin American countries. It’s used, for example, when you’re invited to dinner and you want to eat more. Well, I’m not really a gentleman but for sure I like to repeat … on some occasions. This is my third time at ITC; I hope that makes me a gentleman. When people tell me that I must love ITC very much, I usually reply that ITC is the one that loves me. Among the students at ITC, we say if you come, you will be back, and we have seen this proved on plenty of occasions. 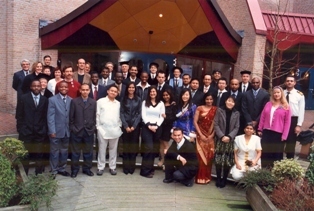 I came to ITC for the first time in 2002, to do a Professional Master’s course in Geoinformatics (GFM3). Actually I applied for a nine-month diploma course but I got a letter from ITC saying that I was overqualified. One year later my mom, Lilia (she will be very happy reading her name in this article), called me at work telling me that the Dutch embassy had just called and that I was being offered the one-year Professional Master’s course. When I arrived in Enschede with five other Colombians, we were given accommodation not in the ITC Hotel but in some apartments not very close to the city centre. It was a nice experience living in the same building with Dutch people of different ages. We did not have internet in those apartments and all of us arrived without laptops, so we used to remain at ITC until late at night, doing assignments (it was a tough programme) or just browsing the Web (if we had time). I left Enschede in 2003 with the feeling that I wanted more. Two years later, I was accepted for the MSc programme Environmental Modelling and Management (GEM), which runs for 18 months and used to be delivered in four countries: England, Sweden, Poland and the Netherlands. I was the only Latin American in the class, in a group composed mainly of African and Asian students. 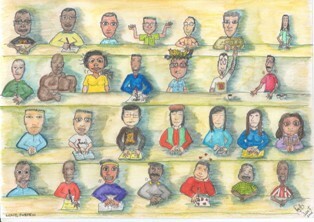 Being a group of foreigners in each country helped us to create a bond that still exists today. The GEM programme allowed us to experience different cultures, different systems of teaching, different atmospheres, currencies … it trained us in both scientific and adaptability skills. Just imagine 28 students traveling together, cooking together, packing together, shipping their luggage from one place to the other, and struggling with the lectures together. I clearly remember our first days in Sweden, when we were at the Lund University, finishing an assignment around 3 or 4 am that we had to submit to England. And struggling with the “essays” system in England, which also applies to written exams. In each new place, we made new friends and it was hard to say goodbye after our stay of some months. In 2007, when we graduated from the GEM programme, I was offered the opportunity to study for a PhD in Soil Erosion under the DESIRE programme against desertification. It was a lucky break. One of my tentative MSc supervisors, Victor Jetten, had lent me a book about soil erosion, and I stayed in Europe some extra weeks,travelling around. I went to his office to give the book back and he asked me about my plans for the near future. “Well,” I said, “maybe find a job, or a PhD opening.” “A PhD ?” he replied. “I may have one for you!” After some conversations about my background and the topic, I signed for the PhD. Now I am studying how rainfall causes erosion in the Cape Verde islands … and that’s where I am now, writing this article. Enschede and ITC have become my second home. I have lived in all the types of accommodation that the International Hotel can provide: outside the hotel, in the hotel, in the new apartments, and now in the family apartments. Living in Enschede is as exciting as you make it. It is a small city but one with plenty of possibilities. Here you can get involved in various sports, and enjoy not only the Dutch culture but also the cultures of your colleagues and classmates. 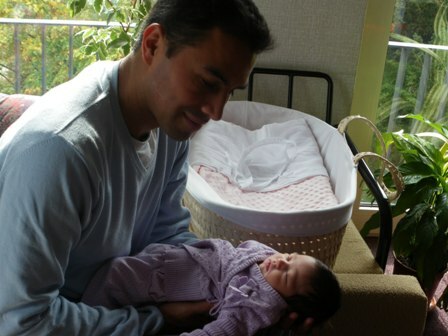 Enschede has given me and my wife Sally our daughter, Sara Valeria, who was born in September 2010. Of course, when looking for names for our daughter, ILWIS, the software developed by ITC, was suggested by some friends. I guess for a Latin American girl the female version would be ILWISA or ILWINA. Being away from our home country of Colombia, ITC staff and students became Sara’s family. If you are coming to ITC, most probably you will come back. And if this is your second time, don’t be surprised if you come back again. As Paulo Coelho wrote, “what happens once may never happen again, but what happens twice for sure will happen a third time”. And who knows? perhaps a fourth time!